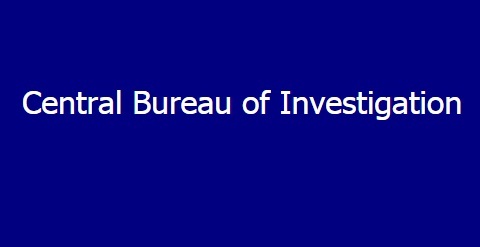 New Delhi: The Central Bureau of Investigation (CBI) has registered a case on the complaint of State Bank of Bikaner & Jaipur, Delhi on the allegation that the proprietors of 3 Delhi based private companies had prepared forged and prepared multiple copies of property documents of their existing properties and used them as collateral security with different banks, including the State Bank of Bikaner & Jaipur to avail credit facility. They allegedly cheated various banks to the tune of several crores of rupees and amassed huge property. Searches were conducted on 28 May at six residential and office premises of the accused persons in Delhi which led to recovery of Rs. 60.72 lakhs in cash; two locker keys and incriminating documents. The lockers were also operated and two German made Pistols and live cartridges were recovered from the locker for which license was not produced by the owner of the locker. The CBI also arrested a Chief Manager (Process Engineering & Project / Acting) of Madras Fertilizers Limited based at Chennai and a Managing Director and his Sales Coordinator, both of a Bangalore based private firm, in a bribery case. CBI has registered a case under section 120-B of IPC read with 7, 12, 13(2) red with 13(1)(d) of Prevention of Corruption Act, 1988 against Chief Manager (Process Engineering & Project, Madras Fertilizers Limited, Chennai; Managing Director of a Bangalore based private firm and his Sales Coordinator at the Chennai Branch Office and also their private firm on the allegations of awarding tender for the supply and installation of RO membrane and issue of certificate after Guaranteed Test Run to the accused firm. CBI laid a trap and caught red handed the Chief Manager for accepting a bribe of Rs. one lakh from a Sales Coordinator of the private firm. Searches were conducted at 8 places at Chennai and 2 places at Bangalore, including residences and offices of the accused. During the searches, several incriminating documents, files, hard discs and mobile phones were seized.